Bluer skies for European democracy? Flickr/infomatique. Some rights reserved. In May, for the first time since the introduction of European Parliament elections in 1979, voters will have a chance not only to choose a party list but also to elect, albeit indirectly, the next president of the European Commission. Following an EP resolution in July 2013, the main European political groupings have decided to field common candidates for the EU’s top executive job. The first to move was the Party of European Socialists, which designated current EP president Martin Schulz as its presidential candidate in November, and formalised the selection in the Rome PES congress on 1 March. More recently the Party of the European Left and the Alliance of Liberals and Democrats for Europe have picked, respectively, Greek politician Alexis Tsipras and former Belgian prime minister Guy Verhofstadt to lead their campaigns, while the Greens have selected a ticket composed of Germany’s Ska Keller and France’s José Bové through an unprecedented primary election. The European People’s Party, finally, chose former Luxembourg prime minister Jean-Claude Juncker as its candidate only a few days ago during its Dublin congress. To a significant extent, this new electoral procedure responds to an immediate political problem, i.e. the mainstream parties’ need to counter rising Euroscepticism by strengthening the democratic character of the electoral process and raising the political profile of their campaigns. At the same time, electing the new Commission president is likely to have a number of important structural consequences for the EU. Reflections on either aspect so far have remained a matter for specialists, and when they have surfaced in the media they have often highlighted the “against” side of the debate. This is understandable, as it is often the counterintuitive position that gets the most attention. The danger, though, is that by taking the positive aspects of the new procedure too much for granted we risk its eventual trivialisation or, worse, forget it altogether. So, here is a quick reminder of why electing the next Commission president will be good for the EU. The first point to make, quite simply, is that the presence of presidential candidates will result in better elections. For one thing, it is likely to increase turnout, as suggested by the latest Eurobarometer on the subject, which found that 54 per cent of respondents would be more encouraged to turn up to vote if they were given a choice between presidential candidates. For another, the new procedure will bring about a much-needed upgrade of the public debate on the EU from the simplistic “euro vs. monetary sovereignty” dichotomy that currently dominates it. Having common candidates, symbols and platforms will force mainstream European parties to engage more than ever before in discussing substantive and Europe-wide policy issues. This in turn will do much to raise people’s awareness of the Union’s role and relevance for European societies. Turning to more structural issues, electing the next Commission president will bring about a welcome shift in the Union’s institutional balance of power away from the Council and towards the supranational Parliament and Commission presidency. 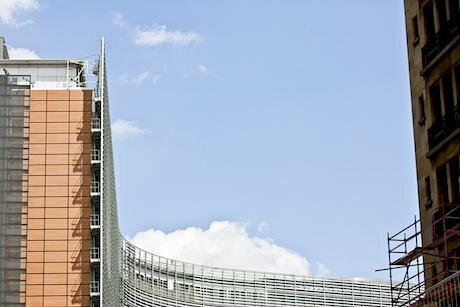 The EP’s gains vis-à-vis the Council will materialise in the first place at the stage of appointing the new Commission president, who will have to be first proposed by the Council and then formally elected by a parliamentary majority. So long as there is a clear winning party, it will be politically difficult for the Council not to propose the candidate put forward by it. Importantly, this will hold even if the winning party does not control an absolute majority of MEPs and will therefore be forced to form a coalition. So elected, the new Commission president will enjoy an unprecedented degree of democratic legitimacy, which will in turn strengthen his or her position within the EU’s institutional architecture. For starters, s/he will probably have a bigger say in the appointment of the remaining commissioners—a task that still belongs to member states—and more ability to steer the work of the College as a whole. More generally, greater democratic legitimacy will give the Commission more autonomy and hence sway vis-à-vis member states with regard to its powers of proposal and implementation in integrated areas, and first and foremost, the Union’s budget. Finally, it could provide the Commission with a political basis to regain some of the agenda setting and leadership role it has recently lost in important areas such as macroeconomic policy. Needless to say, all these effects will be greater the clearer the new Commission president’s electoral mandate and the stronger his or her integrationist convictions. To be sure, states will still have many ways to counter the actions of the Commission: they have a key role in the making and implementation of EU laws, and the ability to appeal to the European Court of Justice should they consider their rights infringed upon. But these powers are not unlimited. As long as states operate within the limits of what is politically feasible and legally justified, their actions, and any disagreements with the Commission, will not be too different from the dynamics one can—and should—observe in any compound political system. On the other hand, stepping outside those boundaries—for instance by creating frivolous court cases—would take member states into a much more uncertain terrain, where they might incur serious political and reputational costs. The strongest objection made by critics of the new procedure, however, has to do less with the extent of the Commission’s power than with its nature. Linking the presidency to the result of the May elections, it is argued, will turn this office into a partisan one. This will in turn undermine the Commission’s role as an impartial “guardian of the treaties” and the states’ trust in its work. While largely true, this argument is, however, misplaced. The issue at stake here—and the question we should be asking—is not whether electing its next president will move the Commission away from the “secretariat” model and closer to a traditional government, but rather whether we are ready to accept such a change. If so, we should also be willing to accept and tackle the political friction that will inevitably follow. To some extent, such friction will be solved through the sort of technical means in place in any contemporary democracy, such as independent agencies, opposition rights and transparency provisions. Other obstacles will require more genuinely political solutions that will probably be easier to reach the faster a new understanding of the nature of the Union and of the Commission’s role in it is reached and consolidated among European citizens and their member states. This article is based on a CSF Policy Paper published in December 2013.